ALLEGRA BOVERMAN/Staff photo. Gloucester Daily Times. 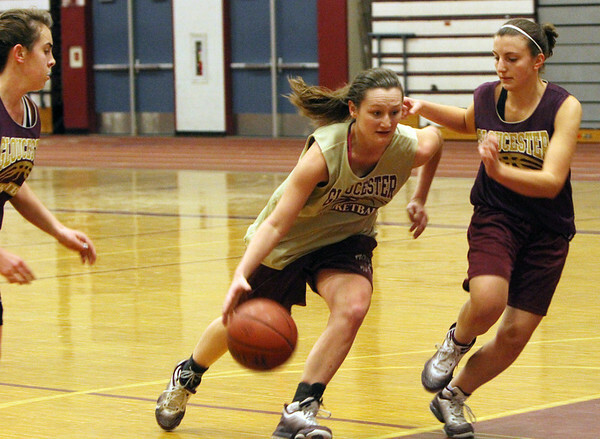 Gloucester: From left during their practice on Wednesday are Gloucester Varsity Girls Basketball teammates Amber Rallo, Audrey Knowlton and Sam Oliver.